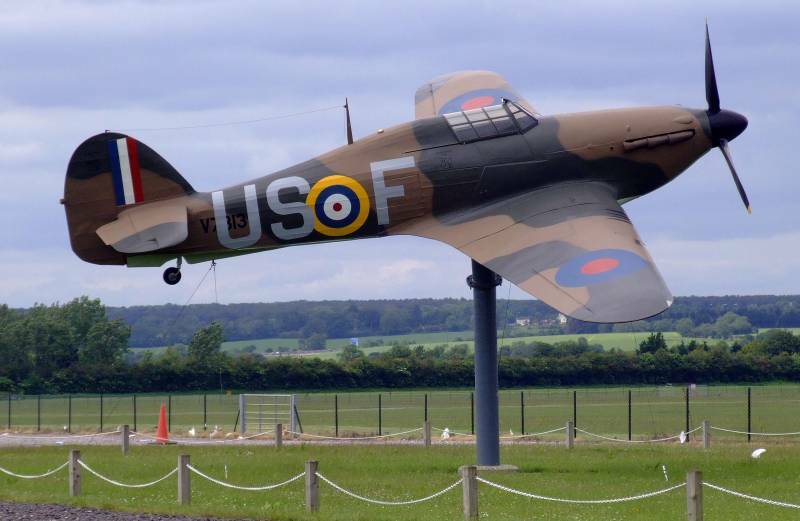 North Weald Aerodrome, near Harlow, Essex. (Hurricane full size model BAPC???) - "V7313" "US-F" - Gate gardian - "Spirit of North Weald"